Willie Nelson reached his greatest fame when the so-called ''Outlaw country'' movement—a reaction to the Nashville sound, which was supposed to be softening the raw honky tonk sound—were whooping it up all over the U.S. during the late 1960s and the 1970s. Among the ''outlaws,'' apart from Willie himself, were musicians such as Waylon Jennings, David Allan Coe, Billy Joe Shaver, and—the most influential of them all—Johnny Cash, with his stripped-down music and straightforward lyrics. 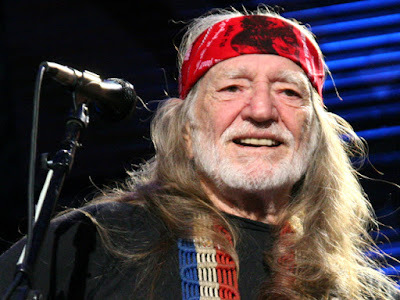 In the video Willie and The Genius are singing together an awesome song: ''Seven Spanish Angels'' … an inspiring experience.